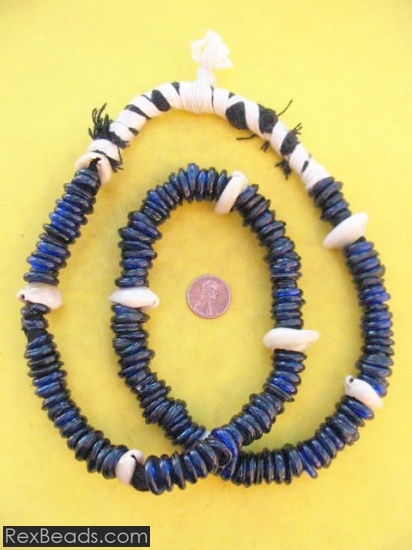 Kankanmba beads are a type of African trade beads which were popularly used and widely distributed all over the continent in the 19th century. 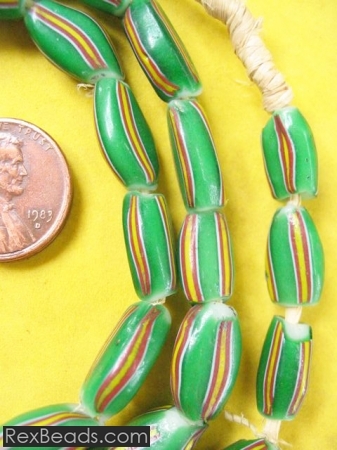 Also referred to as “Prosser beads”, Kankanmba beads were crafted from glass and ceramic using the technology from a button-making machine invented by the two Prosser brothers of Bohemia in the 1830s. 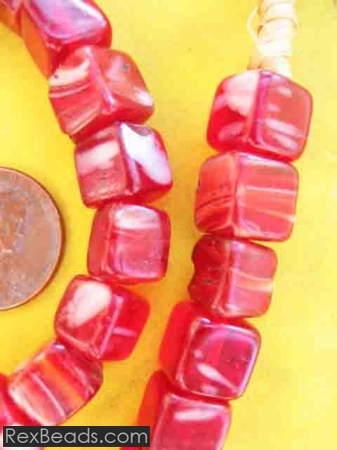 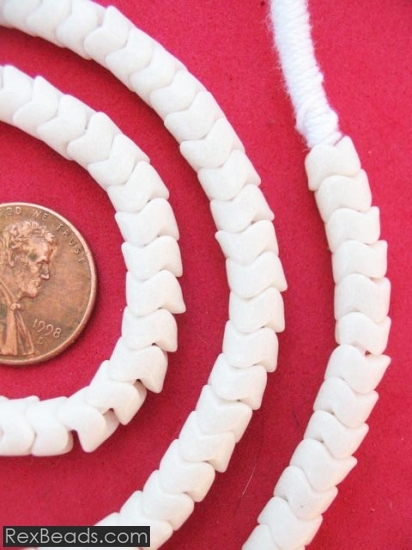 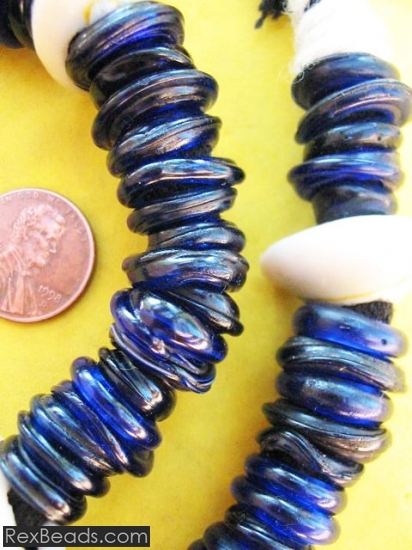 The use of this technology was prevalent well into the 1860s, with these beads being produced with a thin seam. 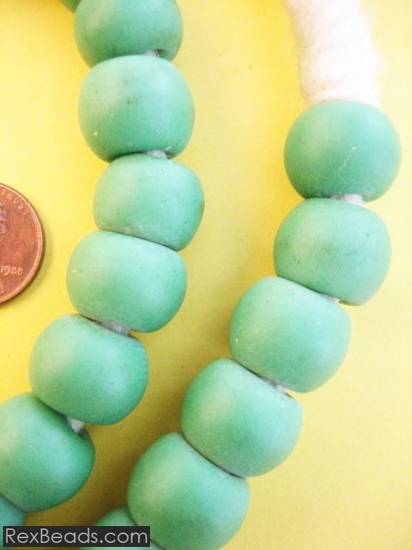 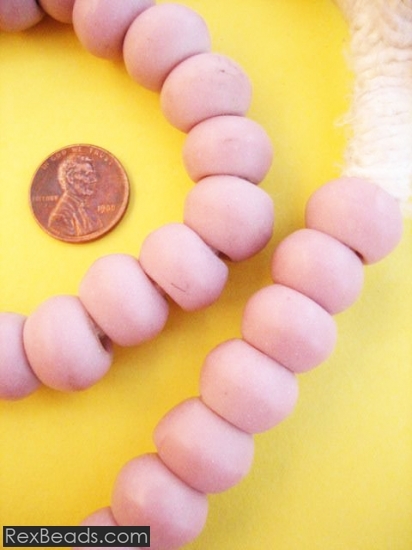 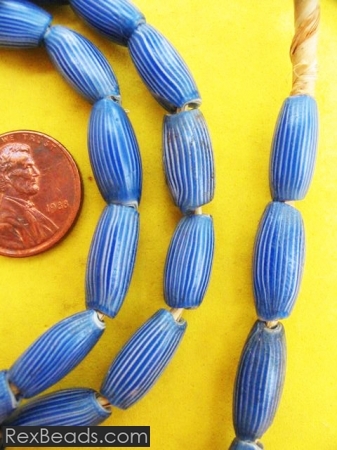 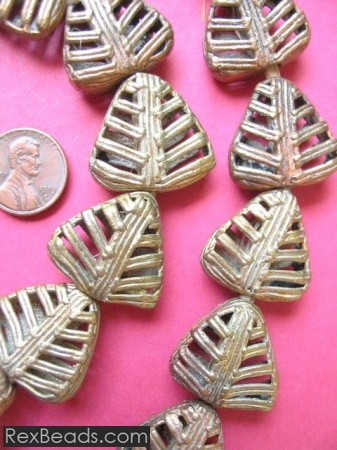 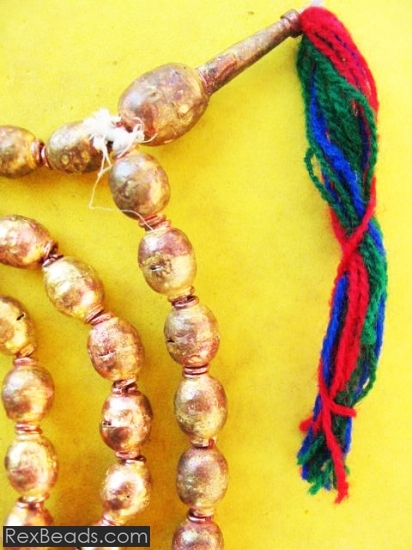 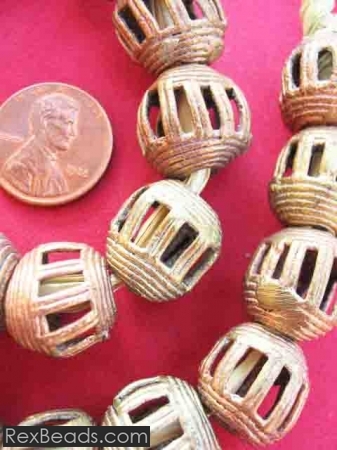 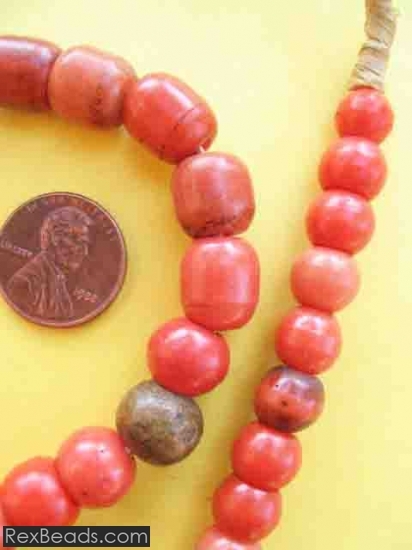 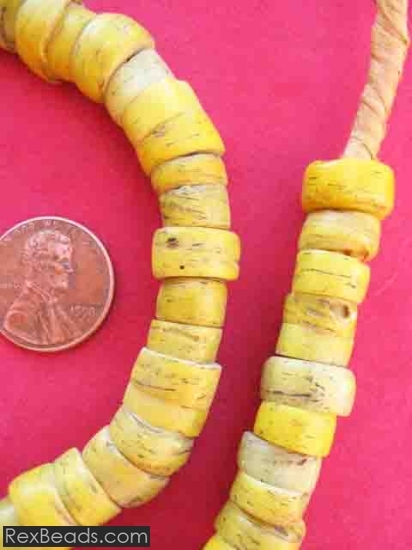 Kankanmba beads were also used for trading purposes by the American Indians who incorporated them into their crafts. 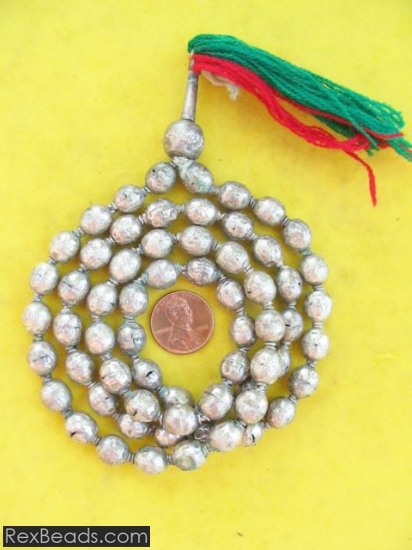 While the production of Kankanmba beads through the Prosser technique is almost defunct, bed makers in morocco have over the years been trying to revive this process with a few attractive jewelry items. 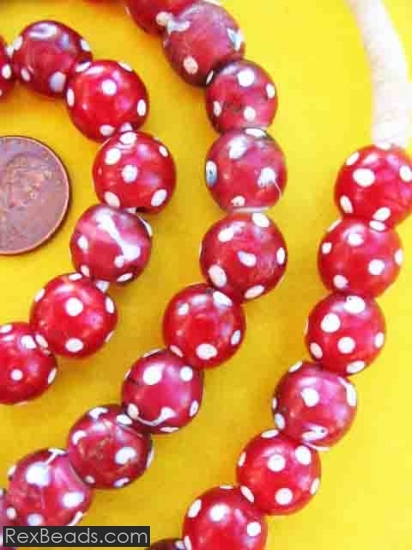 Dutch Dogon beads are large wound glass beads which get their name from the fact that they were made by Dutch people in the Netherlands and later became popular with the Dogon people of Mali who couldn’t resist their exquisite beauty. 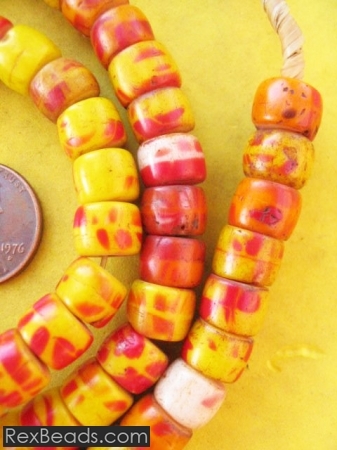 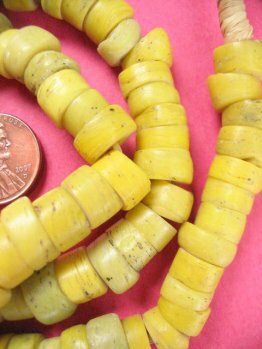 Believed to date back as far as the 17th century, these beads were often used in Dutch villages to make garden mosaics, instead of having flowers in the formal gardens during the late seventeenth and early eighteenth centuries. 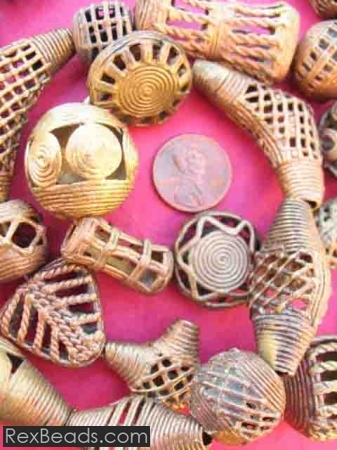 This was before they found their way to the shores of West Africa to make jewelry for the Dogon people. 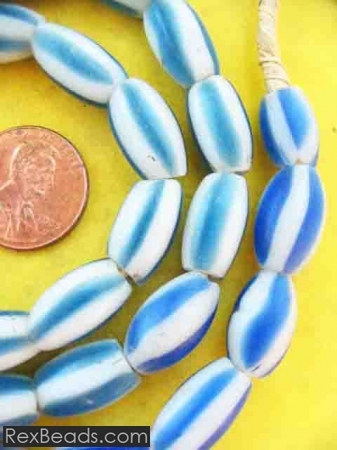 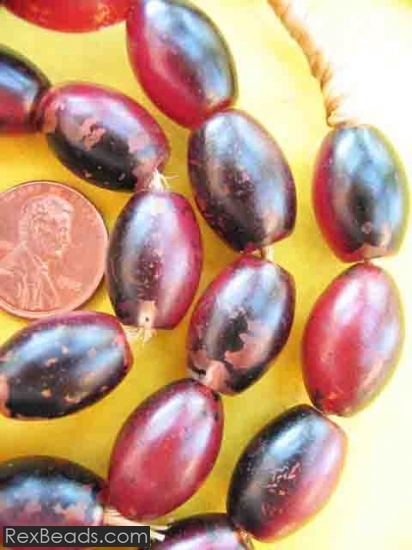 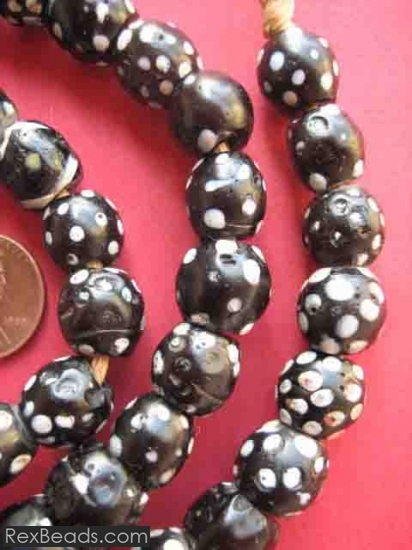 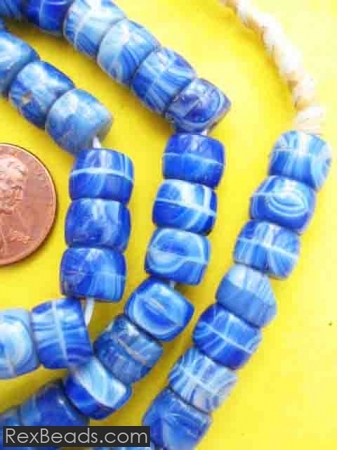 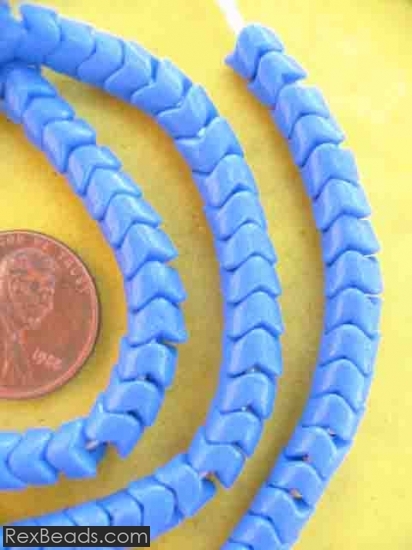 Popular colors for Dutch Dogon beads are most often blue but can also be back black, white or brown.